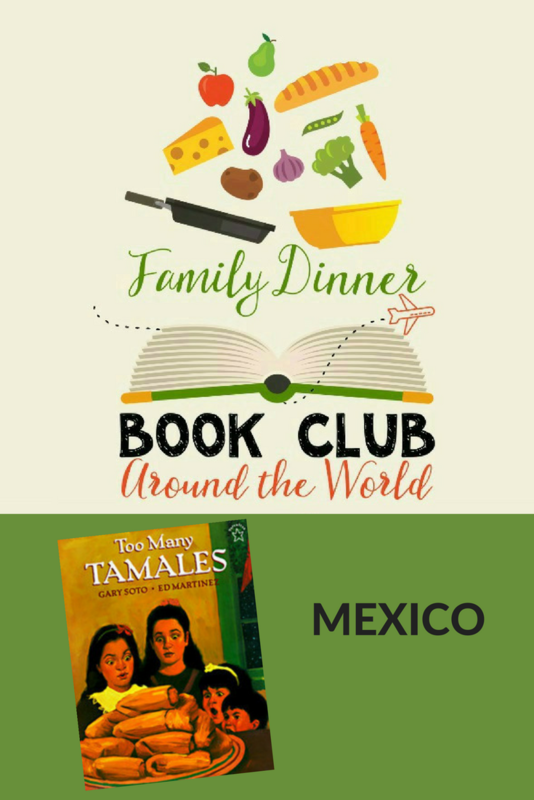 Our year-long Around the World Family Dinner Book Club is coming to an end. This month we are traveling to Mexico. Now, just because Around the World Family Dinner Book Club is coming to an end, doesn’t mean Family Dinner Book Club is ending. In fact, we are super excited for the 2018 year of Family Dinner Book Club. Each month we have ideas to plan your menu, make table decoration crafts, have great conversations about the book and complete a family service project below. We have thought of everything you could need to make your dinner a success! Get a copy of the featured book and join in on the fun. Now, let’s jump right to the details! What is the best way to handle a situation if you make a mistake? What was Maria’s problem in the story? How did she solve it? 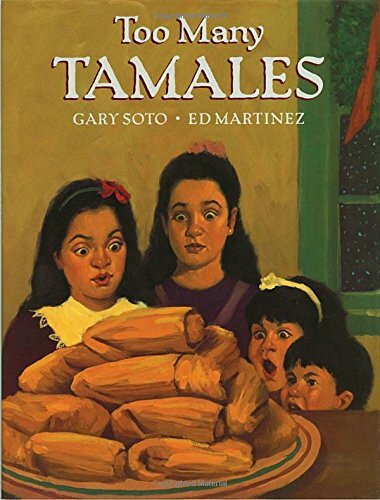 Why do you think the author chose the title Too Many Tamales for the book? Does your family have any special traditions for the holidays? How do you think Maria felt when she discovered the ring was missing? Find Mexico on a map. Where is it located compared to where you live? In this month’s book there is a big focus on family and traditions. This month create a new tradition in your family that will serve others each December. Perhaps you will make cookies to deliver to your neighbors like we do. Or, you might make holiday cards to send to service men or women. Maybe you will visit a soup kitchen each December and spend the day serving others. Brainstorm as a family and create a new tradition that will continue to give year after year. And, join us again next month for another Family Dinner Book Club when we will focus on the character strength of teamwork. I’m so glad that it will be a good fit. Please let me know how it goes! This is such a great book for this month, I can’t wait for our dinner!